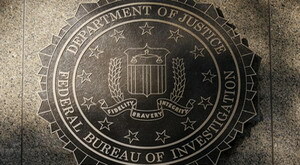 FBI - Ian Fleming, secret in America, 911, Washington DC. The latest open secret in America is that the FBI has identified a suspect in the release of anthrax last fall. Just a few short weeks ago some lady who carries bio weapons water for the left let some students at Princeton in on this "secret". She claims that her sources are telling her that, and they are quite specific in describing this person, it is a former government lab employee. And, that he brewed up the anthrax all by his lonesome; and that he milled it into fine particles. A skill he learned as a weapons lab employee. Today’s latest is that this suspect is somewhere in Washington DC and repeats the story line that he has not been arrested because the government fears the suspect will expose some deep dark secrets of our bio weapons programs. Yeah, Ok. Well that all makes sense to me. There’s a suspect who allegedly killed half a dozen people, we "know" who he is and yet our government is afraid to arrest him. So then let’s just make all this public so the guy knows he’s a suspect. If we lived in a world constructed by Ian Fleming, I might suspect this was all an elaborate plan to get the suspect to reveal his ties to terrorists or something. Maybe to force him up into the Maryland hills where his secret stash of anthrax is hidden. But life’s not like that. Gotta be more to this story then we know. Like, we have a suspect and no evidence. That’s not a good mix. Or maybe, just maybe this is all an elaborate red herring designed to fool the real crooks, who have names like Ahmad and Achmed, into thinking that they are not suspects. Until they deliver an arrested crook and evidence, I will remain unconvinced that this wasn’t part of 911. That’s just too great a coincidence to expect that some guy with a grudge had vials of anthrax laying around his apartment ready to distribute the killer agent.